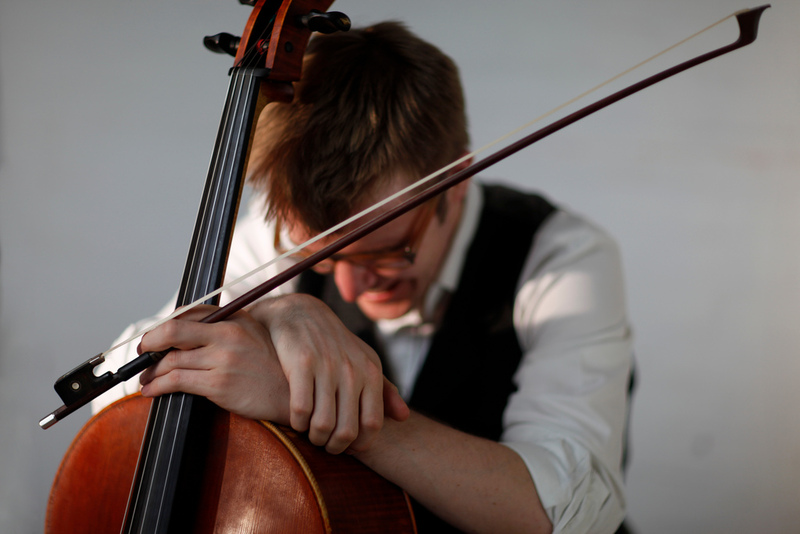 Born in Edinburgh in 1987, Peter Gregson is a cellist and composer working at the forefront of the new music scene. He is developing as one of the most versatile and innovative performers of the solo cello repertoire, with over a hundred performances across Europe and the US under his belt and with further invitations from collaborators and institutions around the world, Gregson is not only in demand for his musical and technological interpretations, but also as a speaker at conferences on topics ranging from innovation in the arts to digital culture. He collaborates with many of the world’s leading technologists, including Microsoft Labs, UnitedVisualArtists and the MIT Media Lab to create immersive musical environments, but it is always the music that comes first, which has led him to premiere works by composers including Tod Machover, Daníel Bjarnason, Joby Talbot, Gabriel Prokofiev, Max Richter, Jóhann Jóhannsson, Steve Reich, Martin Suckling, Milton Mermikides, Howard Goodall, John Metcalfe, Scott Walker, and Sally Beamish. His debut solo album, ‘Terminal’, was commissioned by Bowers & Wilkins and Real World. It was launched in April 2010 with shows at The Hospital Club London, The LAB Gallery NYC and Twitter HQ in San Francisco and was met with critical acclaim. A 10′′ vinyl was commissioned by Mute in May 2011, featuring new solo works for Peter written by Max Richter and Jóhann Jóhannsson and was released at Mute’s ‘Short Circuit’ Festival at The Roundhouse. November 2011 sees the release of his recording of Gabriel Prokofiev’s new Cello Suite on the Nonclassical label, and Peter is also working on his second solo album for release later in the year. Performance highlights for 2010/11 include the MIT Media Lab, The Roundhouse London, The Future Gallery London, The 92nd St Y NYC, The Lab Gallery NYC, The Queen’s Hall Edinburgh, An Tobar, Le Poisson Rouge NYC, Faster than Sound, Excite! Turin, TED Music, Aldeburgh Music, Ingleby Gallery, Oran Mor, TEDxAlcatraz, Kings Place London, Cross-Linx Holland, LSO St Luke’s, as well as appearances at Short Circuit, Latitude, Spitalfields Festivals. Throughout 2011/12, Peter will serve as the Artistic Advisor to the Innovation Forum at the New England Conservatory, Boston. Peter Gregson plays a Colin Irving acoustic cello and a custom five string Eric Jensen electric cello. He is an Eventide Artist and an Apogee Electronics Artist. PG: I choose a future where there is no correlation between excellence and exclusivity. PG: Heston Blumenthal’s cooking programmes on TV don’t expect all viewers to attempt his incredible gastrophysics, but they might provoke a more adventurous outlook on Spag Bol. I’m looking for this in the arts every single day: world class “x” that is relevant to people on their own terms. PG: Have an opinion! It’s not just acceptable to like Wayne McGregor and Glee simultaneously, it’s to be celebrated! There absolutely is objectively excellent ‘popular’ work, and there is absolutely dreadful ‘high art’ work. The key is in being able to separate what you’ve been told is great and what you believe to be great. PG: Defend your tastes – it could be very easy to be shy about enjoying Katy Perry’s music when you make your living playing Steve Reich and Benjamin Britten like I do, but there is a reason why it speaks of the time in which we live. Strive to identify relevance in work and we’ll start seeing snobbish walls crumble – I’m sure of it. PG: Music for 18 Musicians by Steve Reich. It’s not technically a song, but it’s just so astonishing that it has to be included…if you only want one part of it, I’d say “3b”.